Below are answers to some frequently asked questions about the online Health Informatics graduate programs offered at the University of New England. What are the educational requirements for admission? Applicants are required to have an undergraduate degree from a regionally accredited college or university with a minimum cumulative GPA of 2.75. Can I apply if my GPA is below a 2.75? Applications for the Health Informatics graduate programs are reviewed holistically. The minimum GPA recommendation for this program is 2.75. Applicants who do not meet the minimum GPA requirements can still apply, however may be admitted on a provisional basis. How many terms do you offer per year? The online Health Informatics graduate programs offer three terms of enrollment per year: spring, summer and fall. Each term consists of two 8-week sessions. Students take one course per 8-week session. What is considered a full time student? Students taking one course per 8-week session are considered full time student, and eligible to receive financial aid. No. The Health Informatics graduate programs, both master's and certificate, are completely online and asynchronous with no campus visits required. What are the Master of Science in Health Informatics degree requirements? Students must successfully complete 36 credit hours in order to earn the Master of Science in Health Informatics degree, which includes completion of the Master's Project. How many courses will I take per term? To be considered full time, students must take at least one online course per eight-week session. There are two eight-week sessions per term, and three terms per year (summer, fall and spring). The online Health Informatics graduate programs offer three terms per year, allowing students to complete anywhere from six to twelve courses per year. How long does it take to complete the Master of Science in Health Informatics program? The flexibility of our program allows you to complete your degree in as little as 18 months. If you are interested in tailoring your academic plan, please contact an enrollment counselor at (855) 751-4445. How would you describe typical class assignments? In our experience, for best results we recommend that students log in to their course 3-5 times per week. Assignments will vary for each course, ranging from online discussion boards to written papers and reading assignments, exams or group work. How many hours should a student reserve for each class weekly? For the best outcomes, our Student Support Specialists recommend that you reserve 15-20 hours a week for coursework and studying. Can I complete the Master of Science in Health Informatics while working full time? Yes, this program is specifically designed with the working professional in mind. Do you offer any certificate options? Yes. Students can choose to earn a Graduate Certificate in Health Informatics. Like the Master's degree, the Certificate option is also offered completely online with no on-campus requirements. What are the Graduate Certificate requirements? Students must successfully complete 18 credit hours to earn the Graduate Certificate. You can complete the Certificate program in as little as one year. What are the admissions requirements for the Graduate Certificate? Students applying to the Graduate Certificate program must have an undergraduate degree from a regionally accredited college or university with a minimum cumulative GPA of 2.75. Can I transfer previous course credits? Master of Science in Health Informatics Program: Upon acceptance, students may apply to transfer up to three, 3-credit courses (maximum nine semester credits) into the program. 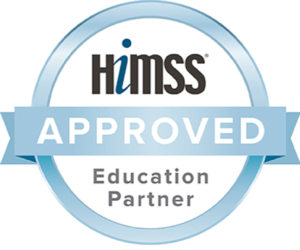 Graduate Certificate in Health Informatics Program: Upon acceptance, students may apply to transfer up to two, 3-credit courses (maximum six semester credits) into the program. If you need any further clarification, please feel free to contact an Enrollment Counselor at (855) 325-0896. What kind of support will I receive as a student? Our motto is "A successful student is a supported student." And we take that to heart. Upon entering the program you will be assigned a dedicated Student Support Specialist to provide you with support and to answer any questions you may have. Your Support Specialist is your on-the-ground advocate at the University – from questions on textbooks, to registration, to financial aid and more, they are there to help you make your academic journey successful. And of course, this dedicated support is provided in addition to the tremendous support you will receive from program staff, your academic advisor, course instructors and fellow classmates. Which online learning platform is used? The Health Informatics graduate programs use the Blackboard Learning Management System. Yes, University of New England is accredited by the New England Commission on Higher Education (NECHE, formerly known as NEASC). To learn more, please see www.une.edu/accreditation/. More than 90% of our students receive some form of financial aid. Please visit our financial aid page for more information.